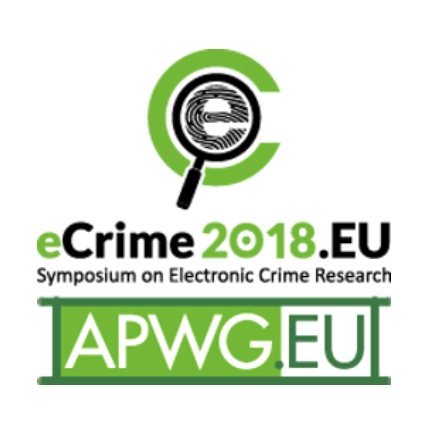 APWG.eu, partner of Security Case Study is organizing EU Symposium on Electronic Crime Research (eCrimeEU2018), which takes place right after #SCSconference on September 17-18 in Cracow. Everyone who registers on SCS conference will receive a 50% discount for APWG.eu event (after succesfull registration for SCS 2018 you’ll recieve an email with instructions how to use the discount). eCrimeEU 2018 will dive into current research projects and future areas of interest for cybercrime investigations, forensic techniques and infrastructure defense. Operational and research insights for fighting electronic crime will be complimented and augmented with discussions on citizen awareness programs to help ensure a secure computing environment. This year’s meeting will bring a focus on the shifting nature of cybercrime and the inherent challenges of managing that dynamic threats cape. Programs to help ensure a secure computing environment.